Maryland's 90-day General Assembly session started with a new crop of freshmen lawmakers — 17 senators and 44 delegates — and a wide range of issues listed as priorities. ANNAPOLIS, Md. 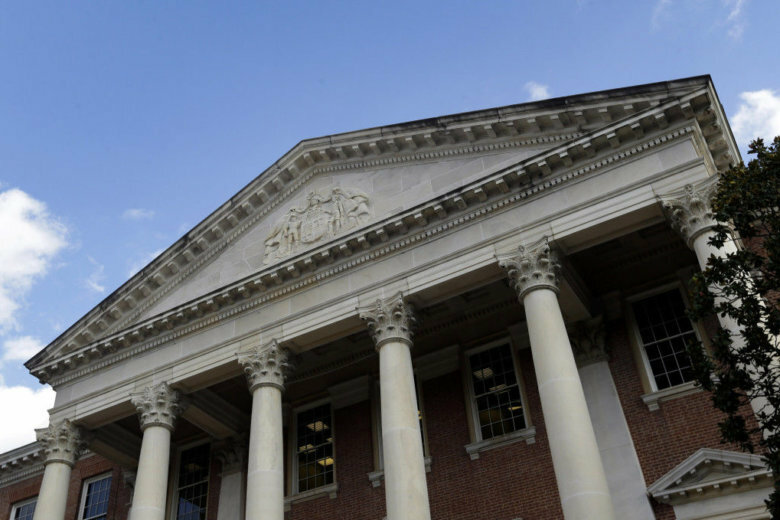 — Maryland’s 90-day General Assembly session started with a new crop of freshmen lawmakers — 17 senators and 44 delegates — and a wide range of issues listed as priorities. On the day before the legislative session opened, Maryland Gov. Larry Hogan announced an initiative to deal with crime in Baltimore City, and that included legislation in Annapolis. Among his proposals: introducing legislation to increase mandatory minimum sentences for repeat gun offenders. Hogan also called for a measure that would document how judges rule when it comes to sentencing. He has complained in the past about judges being too lenient in handling violent crime in Baltimore. Del. Kriselda Valderrama, deputy speaker pro tem, said, “Education will always be an issue,” and not just in her home district of Prince George’s County. Though state lawmakers continue to wait for the Kirwan Commission to complete its work on plans for how to pay for it, Valderrama said school funding issues statewide remain a priority. Hogan announced a plan to spend $3.5 billion on school construction projects. In Prince George’s County, where interim schools CEO Dr. Monica Goldson has been appointed to lead the school system through the end of the school year, Valderrama said she’ll be looking to see how state money that goes back to the county is spent within the school system. But for other lawmakers, such as Del. Joseline Pena-Melnyk, the “Fight for $15” is at the top of their list of legislative priorities. Pena-Melnyk also said health care for Marylanders is a priority. “We need to make sure that we save Obamacare in Maryland,” explaining that meant having an individual mandate that provides continuing coverage for residents with preexisting conditions. Pena-Melnyk, whose district includes portions of Prince George’s and Anne Arundel counties, also wanted to see passage of the “Trust Act,” which would limit state and local police cooperation with federal immigration enforcement. She said the legislation would enable residents who are immigrants to “call the police without fear of prosecution” regarding their own immigration status. Del. Kumar Barve, chair of the Environment and Transportation Committee, said his committee will look at proposals to open the state’s oyster sanctuaries to harvesting. Climate change is an issue that Barve said will get attention during the legislative session. “I’m going to be introducing legislation to encourage electric power generators to invest in grid-level electric storage,” he said. He wants to see industries work on plans to harvest solar and wind energy in ways that can be stored for later use, he added. That’s becoming more viable, Barve said, as renewable power becomes more affordable. Barve’s committee will also work on ways to ease traffic congestion that remains a top concern of constituents, especially those stuck in backups on Interstate 270 and the Capital Beltway. And he said he doesn’t support widening the footprint of I-270, but added, “I do support reversible lanes.” That would mean switching the number of existing lanes for southbound traffic in the morning, and then reversing that for the afternoon drive home. Barve would also be in favor of tolling some lanes to provide congestion relief; he’s open to working with the Hogan administration on the plan. “I think we have to propose solutions that will move people” he said. On the Tuesday before the opening of the legislative session, many of the freshmen lawmakers were busy setting up offices, getting to know their colleagues, and finding the various committee and caucus rooms where they will be at work during the 90-day session. Del. Vaughn Stewart visited the offices of his colleagues and was gracious when he was mistaken for a legislative aide. “I’ve got a lot of learning to do. I’m a neophyte, and I definitely look my age,” he said. Stewart is a young-looking 30-year-old from Montgomery County who said he expects to spend a lot of time simply learning the ropes in Annapolis. He wants to establish relationships with his colleagues, “and learn about their districts and their priorities, and also carve out a little bit of a legislative niche and gain expertise,” he said. Some of the issues that his constituents have signaled are important to them include transportation, education and climate change.